Are You Fired Up to Start or Expand Your Food-Related Business? 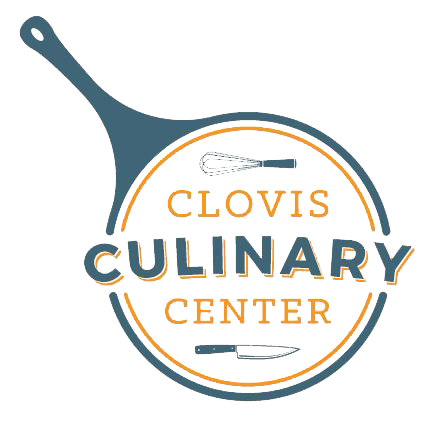 Clovis Culinary Center is a nonprofit facility which provides professional culinary business services for entrepreneurs who want to start or expand their business. Our certified commercial kitchen offers twenty-four hour, seven-day-a-week access to wide-range of professional commercial equipment that will help you prepare your specialized products from start to finish. The Clovis Culinary Center is more than just a kitchen, we offer hands-on technical assistance from our industry-minded professionals which include workshops focusing on basic food handling, developing business plans, marketing, social media, securing permits and licenses, procuring contracts with government organizations, obtaining a wholesale license, and access to capital. For established or start-up caterers, food truck operators, bakers, small manufacturers of specialty foods, legal street vendors, wholesalers who sell to retail markets, and those starting a part-time food business and ready to take their idea from recipe to reality, we are here to serve you! The Clovis Culinary Center was created and operates thanks to generous considerations from the City of Clovis, USDA, Northern California Community Loan Fund, City of Clovis Community Development Block Grant, California Fresh Works, JD Food, California Restaurant Association, and Fresno/Clovis Convention and Visitors Bureau. Because of these community partners, special hourly rates and scholarships are available to qualified veterans and residents of economically challenged areas of our region.